I wanted custom painting to be a part of our Jeep Wrangler build since the very beginning. There were only two problems: 1. 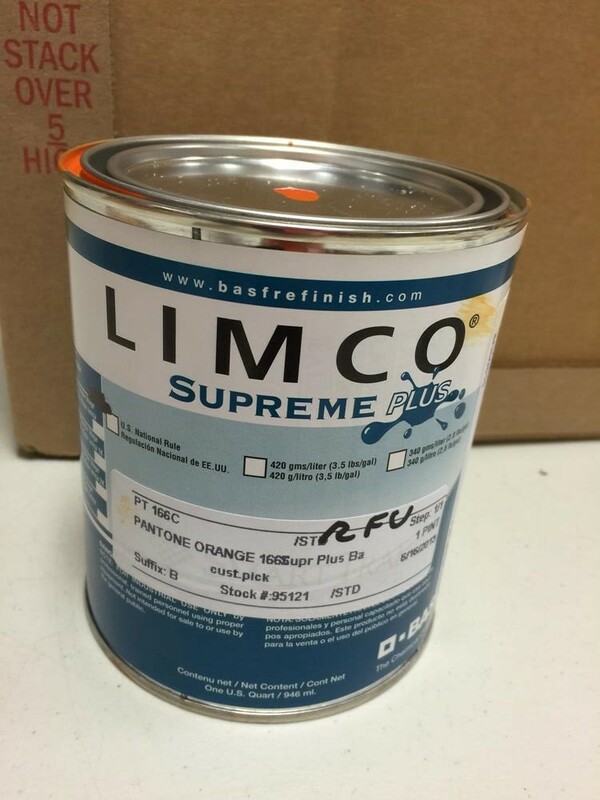 I have no experience in automotive painting and 2. 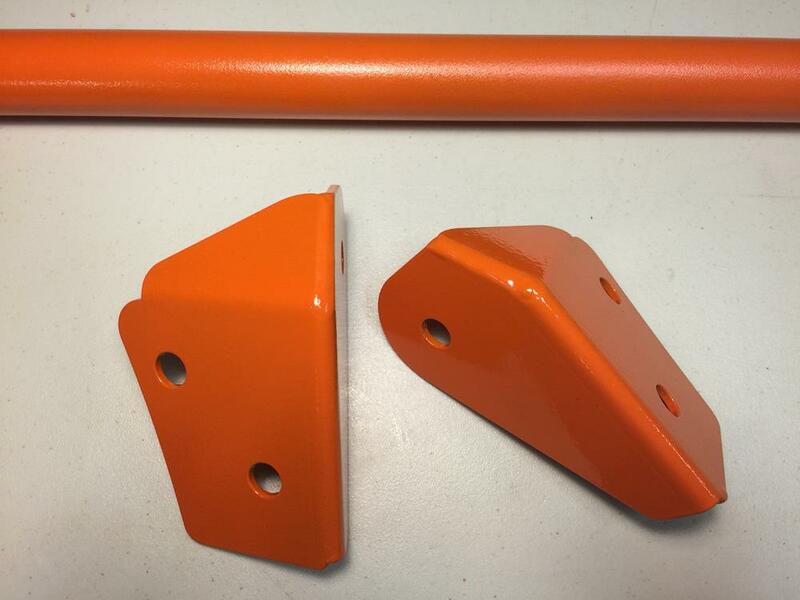 My initial search efforts to find the Rightline Gear orange color were producing no results. 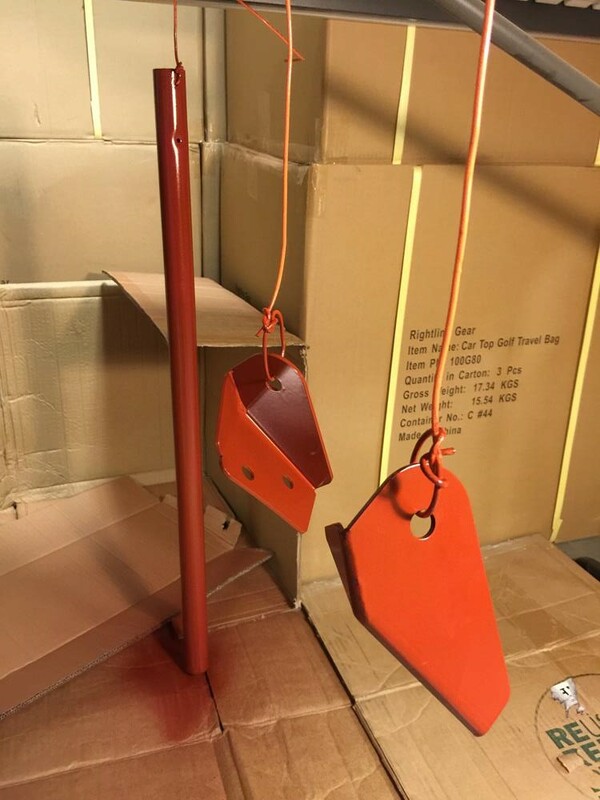 Eventually, I found the guys at Motor Parts of Asheville, who could not only give me valuable guidance, but could also provide paint in the exact color I needed, no color matching necessary. I left their store with my box of supplies, a good bit of instruction, a little bit of apprehension, and a much lighter wallet (auto paint is expensive!!!). The guinea pig parts I set out to paint were the PIAA lower windshield light brackets and the Hi-Lift Jack handle. I started by sanding each of them with 600 grit wet/dry paper. 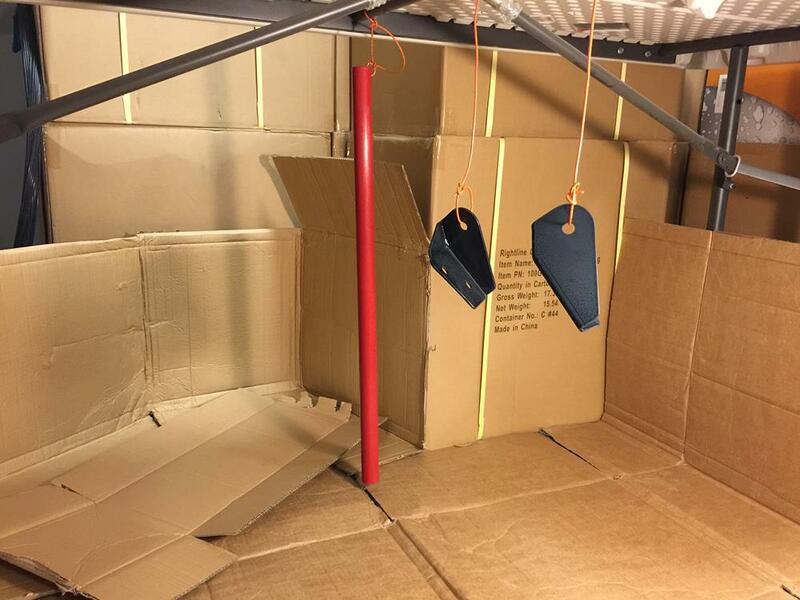 Next, I had to rig up a spray booth by using a plastic folding table, some cardboard, and (3) pieces of dog fence wire (for hanging the parts). 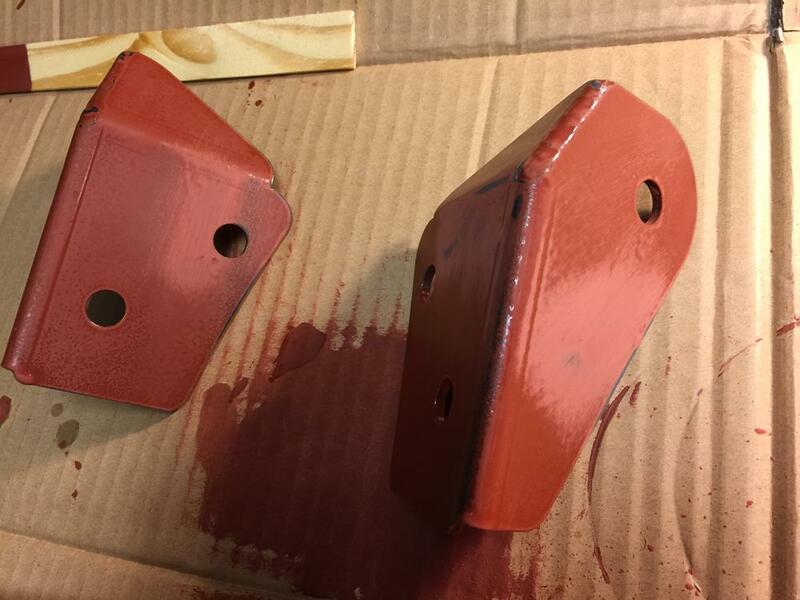 I mixed the epoxy primer (red oxide color) in a 1 to 1 ratio, strained it, and sprayed it on with the Preval Sprayer. The Preval Sprayer is simply a fantastic tool. For under $5, you get the sprayer and its 6 oz glass paint reservoir. The sprayer pulls paint up its tube and out its nozzle in a professional quality mist. In between coats, the paint can be kept in the glass reservoir with it’s screw on cap. 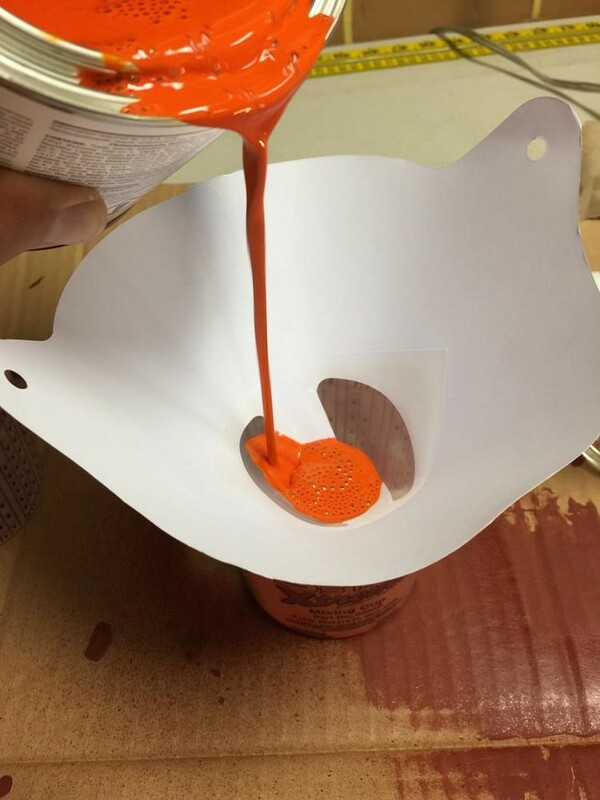 The sprayer can be cleaned in between paint applications by spraying a small amount of paint thinner through the nozzle. 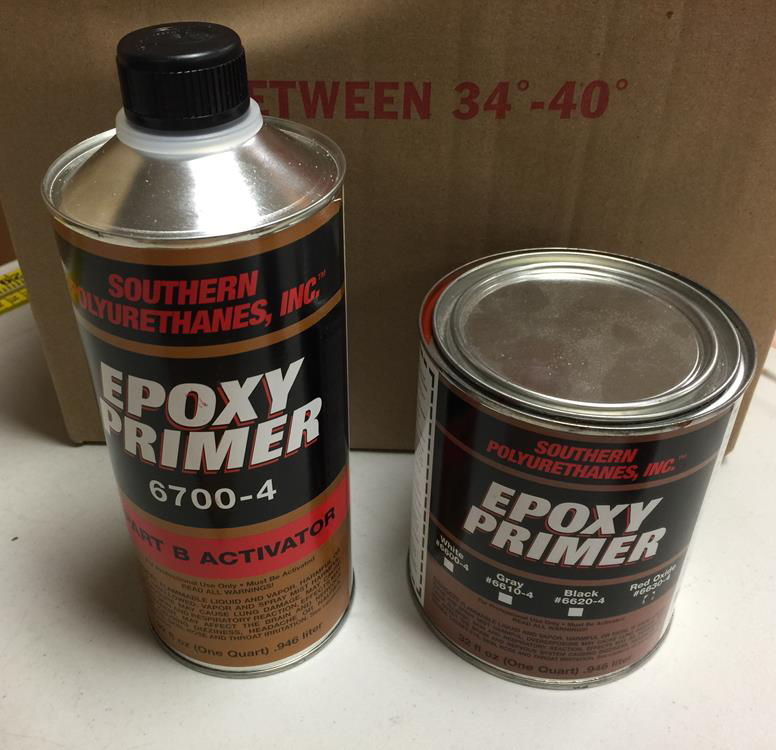 One sprayer is advertised to deliver 16 oz of paint. The good news is that you can purchase replacement sprayers and keep using the same glass reservoir to save some money. My first attempt at spraying the primer went on too heavy and I had some runs to deal with. Once dry, I sanded down the runs with 320 grit wet/dry paper. Then I went entirely over each piece with the 600 grit paper. By the second coat, I had the feel of the Preval Sprayer down and from then on, it was easy to control the application rate. One more coat of primer did the trick. The primer goes on thick and tacky and easily covers the parts. Once the primer was dry, I sanded the parts with the 600 grit paper once more before applying the basecoat. 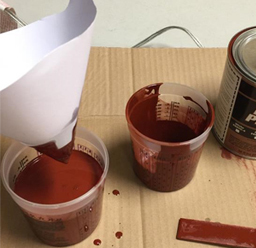 The basecoat could be strained from the can right into the glass reservoir. Motor Parts of Asheville had reduced the paint for me, so no extra work on my part. Back to the spray booth again for what ended up being (5) to (6) applications of the basecoat. 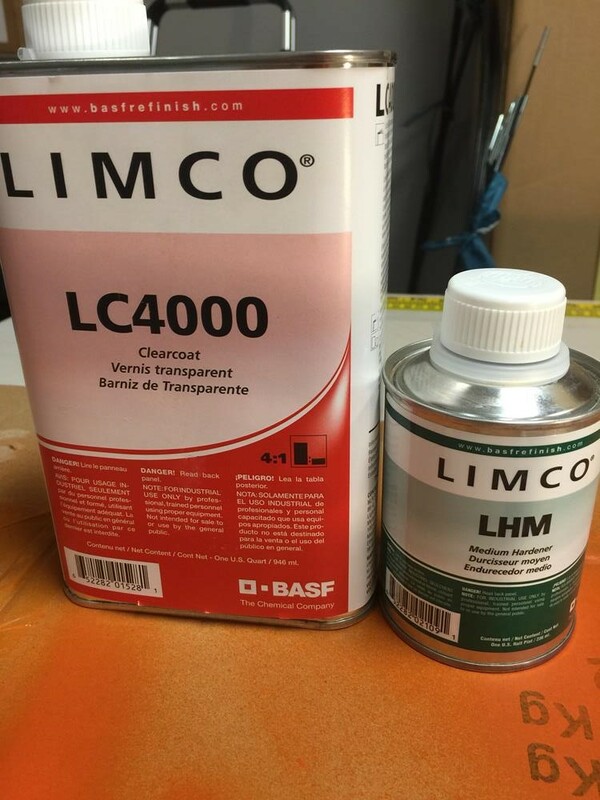 This paint went on much thinner than the epoxy coating and came nowhere near to covering a part with just one application. None-the-less, after completely gassing out the capacity of our make-shift spray booth (and all our employees), we had some good looking parts. 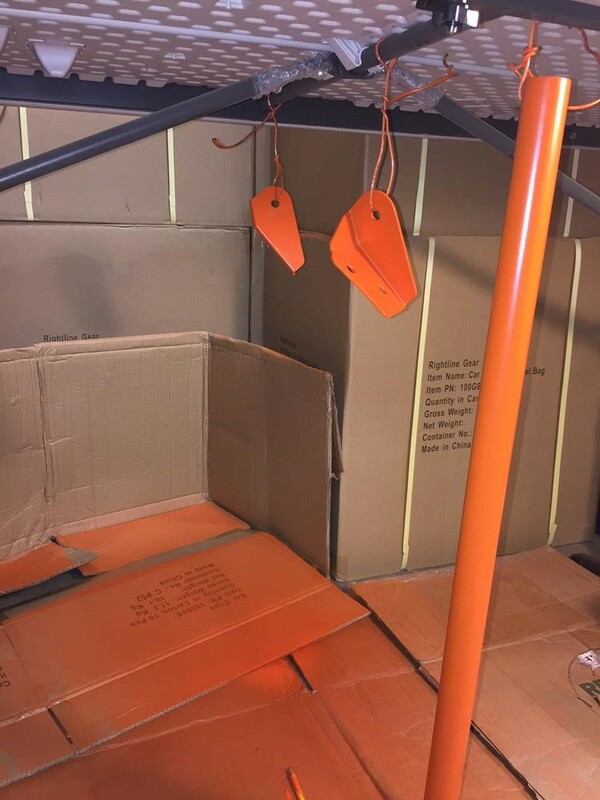 The orange color was right on. The last step was to add a clearcoat finish to protect the basecoat over the long haul. The clear coat mixed in a 4 to 1 ratio with the hardener and the final solution was strained on its way into the glass reservoir. I was reasonably certain that I had achieved full coverage after spraying (3) applications of clearcoat to the parts. The clearcoat gets extremely sticky very quickly and I was hesitant to leave it sit in the glass reservoir (and inside the sprayer) longer than necessary. As you can see, the final result turned out great-not bad for a rookie. After a little more creative energy, I am sure we will have a Custom Painting Part 2 blog in the near future.